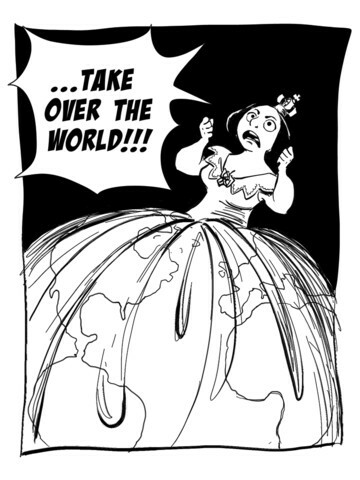 The Lovelace & Babbage webcomic is based on Sydney's meticulously-researched (and highly amusing) historical footnotes. On the web, these footnotes are secondary to the comic. On iPad, we wanted to give them equal billing. We prototyped a new navigation approach, taking advantage of the iPad's multiple orientations. In portrait, the comic is presented in its original form, redrawn and optimised for the iPad's screen. In landscape, the comic appears alongside historical notes, documents, engravings and videos, focussing the reader's attention on individual panels as each annotation is explored. The end result is a powerful way to annotate creative works. 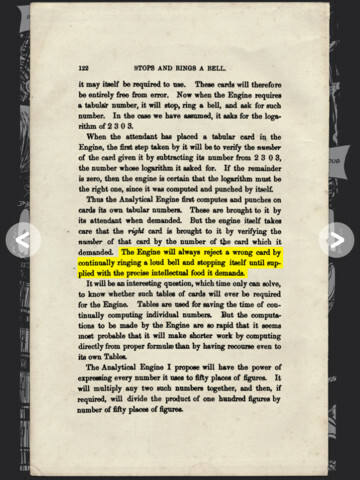 As a tribute to Babbage, we've called it the Annotations Engine. The engine enables authors to create interactive works with extensive notes, annotations and documents, all without needing to write a line of code. It's supported by a desktop authoring tool to build, edit and preview these works as they are created. 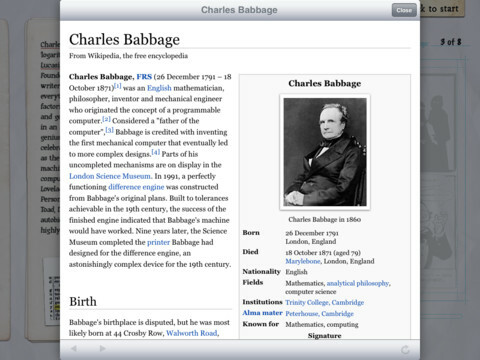 In addition to the author's own notes and documents, the engine integrates with Google Books and Wikipedia, pulling in further supporting material alongside the artist's original work. And it's not just about annotations. We're already working on the next version of the comic, with infinite canvas navigation, multiplane camera reveals, atmospheric audio, and complex animated annotations. 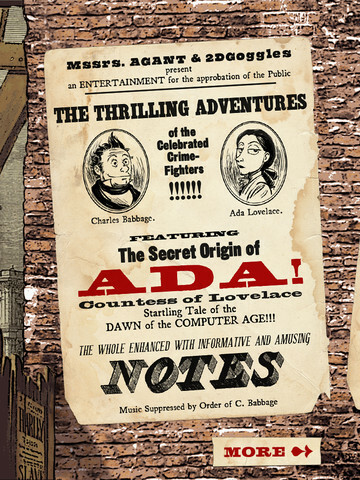 All of these will appear early in 2012 in a new Lovelace & Babbage adventure – User Experience – created specifically for the iPad. 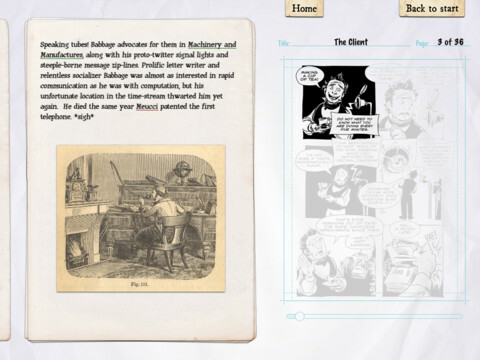 In the meantime, the Lovelace & Babbage app brings the history of computing to life – and gives a glimpse of the future of comics on iPad.